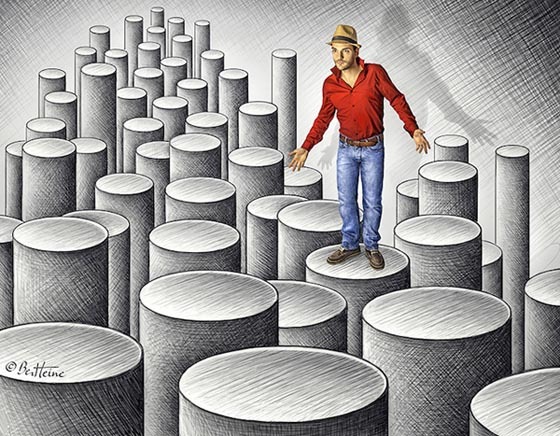 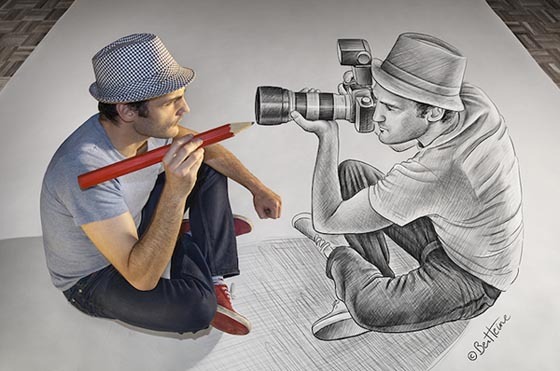 As a loyal fan of Ben Heine’s “Pencil vs. Camera” series, we have been featuring many creative works from Ben Heine on the site. 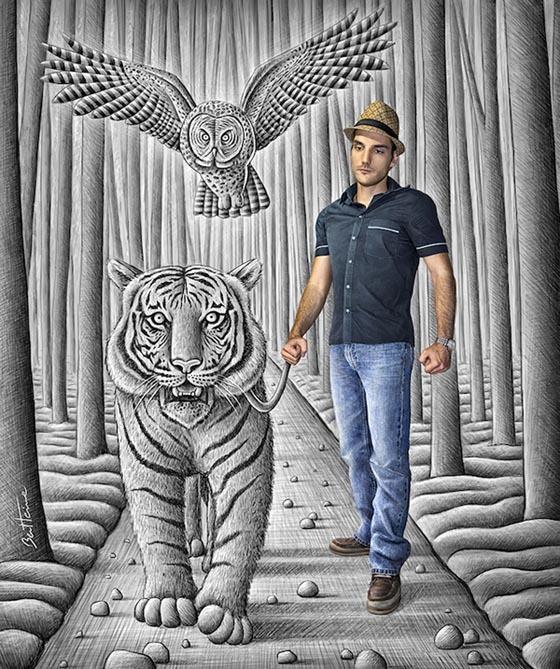 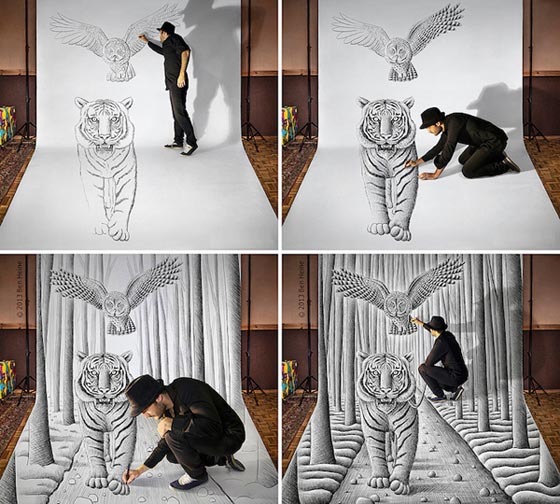 Today we are to present you a special collection – 3D Pencil Drawing from Ben. 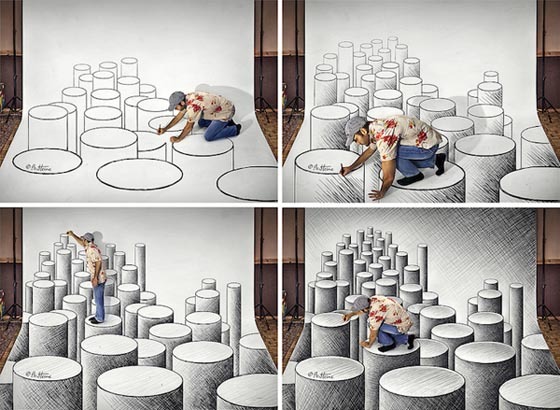 Using a technique called anamorphosis, Ben successfully brings new dimensions to the flat surface only with normal pencil and huge blank sheet. 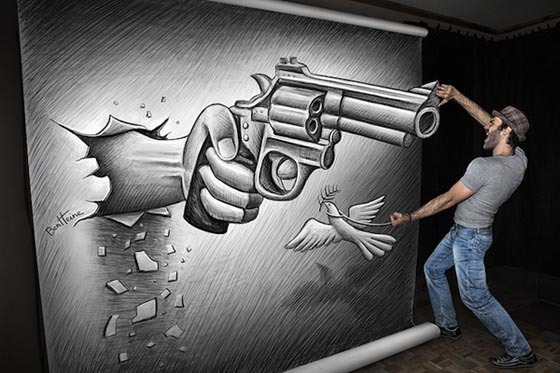 These mind-bending works of art have been so cleverly constructed that allow the artist himself step inside the picture and interact with landscape, animals or something unusual like gun. 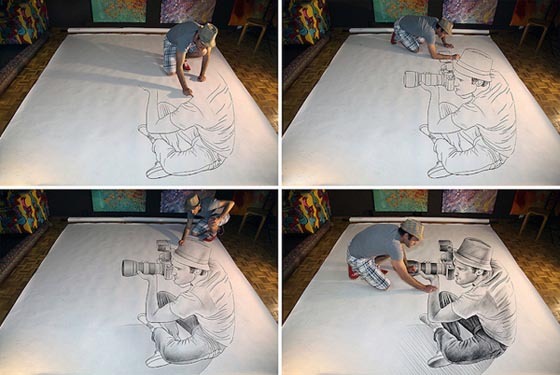 Take a look at these awesome work and we also include some progressive photos of how Ben created those drawing.